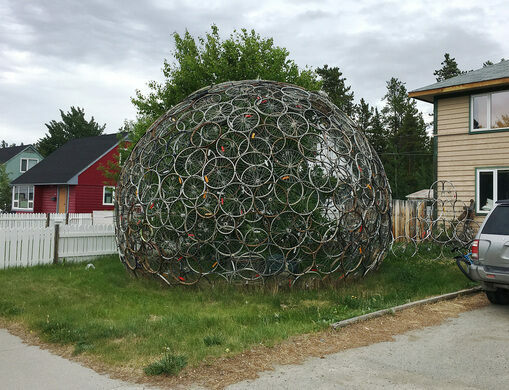 Known for its extensive mountain bike trails, the city of Whitehorse, Yukon, is a fitting location for this enormous dome made of bicycle rims. 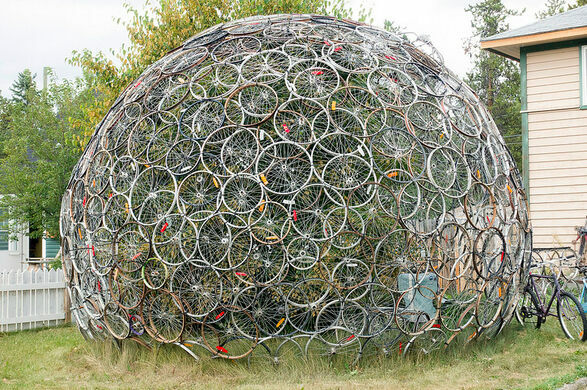 Philippe LeBlond, a bicycle enthusiast, artist, and mechanic, built geodesic artwork from spare parts. Home to a full cast of the largest woolly mammoth ever recovered in North America. 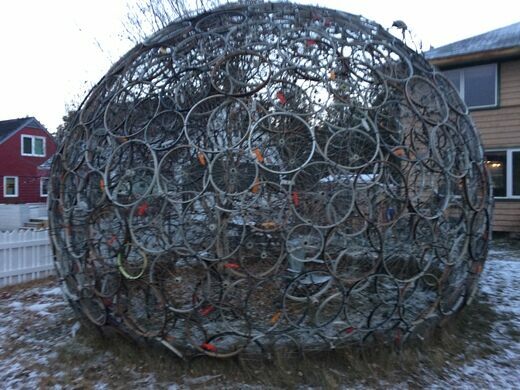 Wheels of various sizes are bound together with plastic cable-ties, creating a spherical structure strong enough to stand on. A single rim stripped of its spokes provides access to the interior, which is inhabited by a large birch tree. It isn’t LeBlond’s first dome. He began creating the giant curved constructions back in 2004. This one is by far his largest, though. 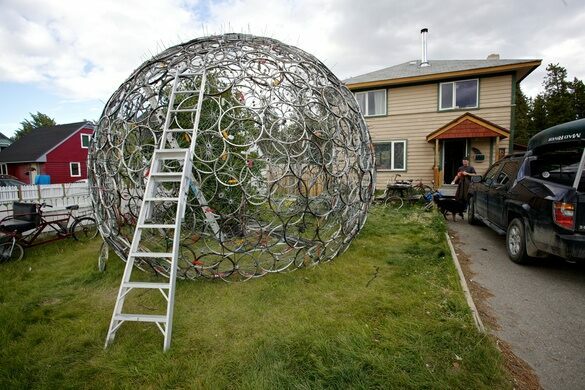 At nearly 16.5 feet (five meters) in diameter, the dome takes up most of the artist’s front yard and is nearly as tall as his house. Collecting the materials he used to build the dome was easy. 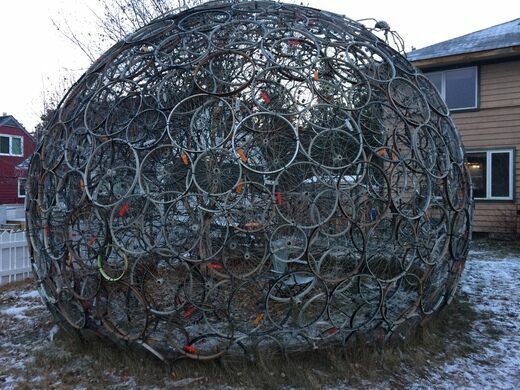 LeBlond once owned a bike shop, which caused him to amass an array of wheels, rims, and other discarded parts over the years. 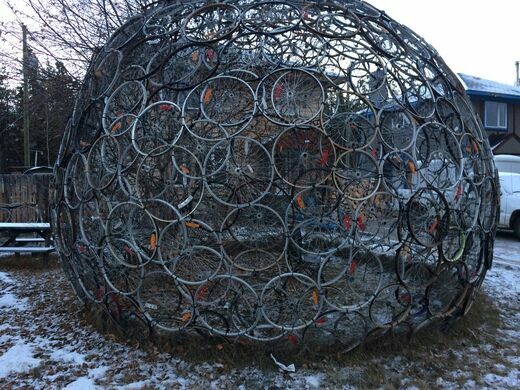 The dome is located in the Riverdale neighborhood, on Lewes Blvd midway between Takhini Avenue and Alsek Road. Please stick to viewing it from the sidewalk. This tiny square mile of Canadian sand was once considered the world's smallest desert.